This circular was issued to State Educational Training Board (ETB) run schools only and its aims are to “ensure the rights of children to attend school without having to attend religious instruction." 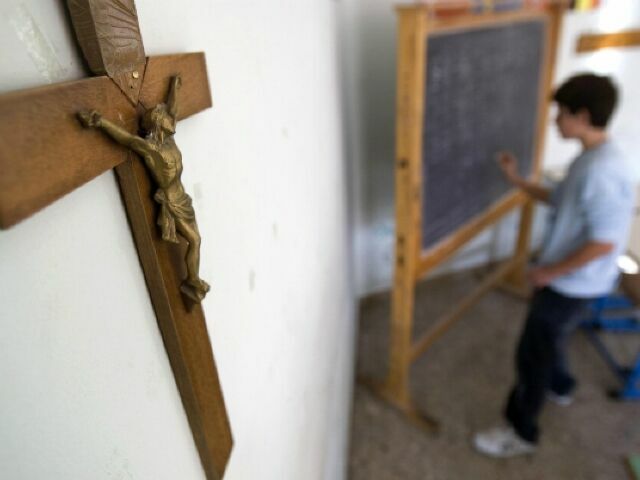 “So we’re requiring now that schools consult with parents so they know in advance their wishes and they reconfigure their programme to ensure that children who do not want to participate in religious instruction have a meaningful programme,” Minister for Education Richard Bruton told independent.ie. There is some confusion surrounding the ‘opt-out’ ideology concerning the rules themselves and what exactly a circular is. A government circular is a framework or guidelines that impose a certain ethos amongst a particular group of people by government departments or bodies. In recent years, students have not been forced to take religion classes, however that usually meant they were sent to the library or the back of a different classroom. Minister Bruton stated on RTE Radio One’s Morning Ireland that the students will have a “meaningful programme” put in place for them instead of religion classes. This statement is causing uncertainty amongst teachers, students and parents as Bruton also stated there would be no additional resources provided alongside these new ‘opt-out’ rules. The ‘opt-out’ may even put ETB schools at a disadvantage as it effects the 24 Statements of Learning in the new Framework for Junior Cycle (2015) which is implemented in all schools for all students. For example, in Learning Outcome No. 5, “The student has an awareness of personal values and an understanding of the process of moral decision making.” Also in Learning Outcome No. 6, “The student appreciates and respects how diverse values, beliefs and traditions have contributed to the communities and culture in which she/he lives.” Both of these Learning Outcomes are usually only taught during religion classes. “It is hard to see how a student can achieve these outcomes in a school that might not in the future offer all students Religious Education as a subject,” said Dr. Gareth Byrne, Associate Professor of Religious Education in St. Patricks College DCU. “The issue is not that they be members of a faith community but that they have the opportunity to discuss and learn to respect different perspectives on religion in contemporary Irish society and learn about contributing to the building up of a friendly respectful society.” Byrne said. The ‘opt-out’ option doesn’t apply to religious-run voluntary secondary schools at the moment.